...included the possibility to share Cells and Notebooks as easy as you know it from the image upload. The expressions are encoded in the PNG images itself and sharing them is as easy as including an image in your post. Please read here the discussion about safety issues. ...revived the possibility to roll out updates and notify you when a better version is available. Every once in a while, or when you press the update button, your local version is compared with the online repository. If there is a new version, you will directly see a list of bullet-points about the latest changes and can update it directly. 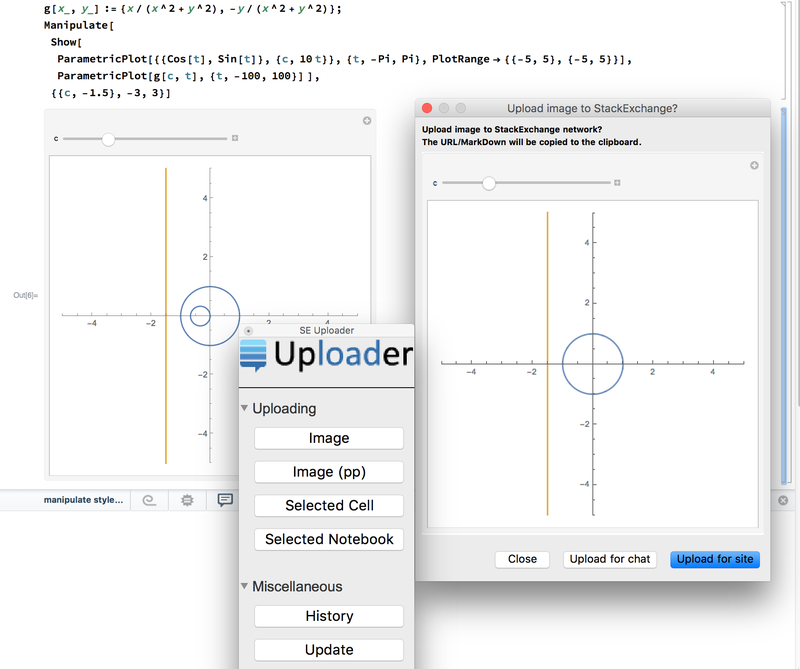 ...written an update/install procedure which works for Mathematica version 8 or above. This will replace old installations with the most recent version and update the whole package automatically. Unfortunately, there seems an issue for Windows users, which I'll explain later. ...not only changed the layout, but ensured that the uploader palette works and looks good even on version 8. The installer will check for old installations of SEUploader or SETools and asks you whether it can remove them. If your directories are clean, then it will download the latest version of the repository (the file master.zip), extract it and place it in your $UserBaseDirectory. Attention Windows users: It seems, than Mathematica simply cannot delete certain files or directories, because it somehow locks them. If you get an error, although you clicked Yes when you were asked for approval to remove them, please delete the directory manually and report back here. in version 8 there is unfortunately nothing like ProgressIndicator[Appearance -> "Indeterminate"] to get a constantly moving progress-indicator and I hesitate to use something with Dynamic[Clock[Infinity]]. Therefore, when uploading Cells/Notebooks in V8, only a progress-bar will appear and it will disappear when the upload is finished. 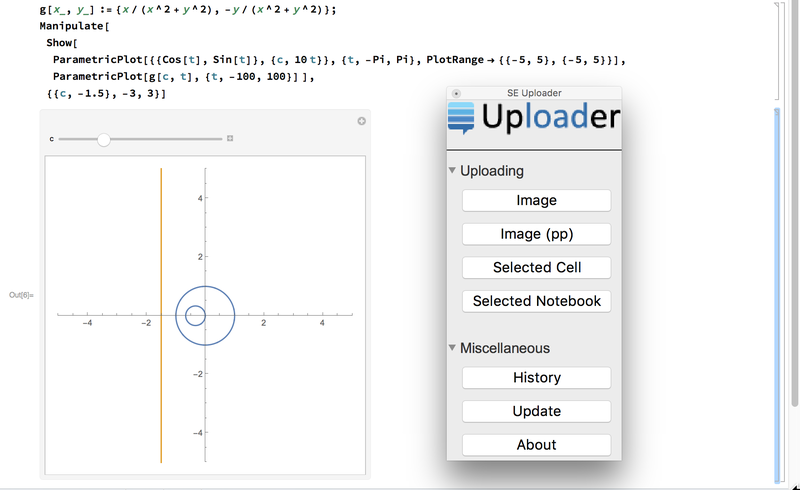 On my OS X 10.10.3 with Mathematica 10 the palette flickered from time to time. I hat the feeling that the flicker appeared very often when I had a stackexchange chat-room with a lot of traffic open in Chrome. I used the same specs for both, the visible and the invisible indicator to ensure that the palette layout does not move/resize when the indicator is shown during upload. was always busy when the SEUploader palette was open and it seemed to introduce some weird flickering of the palette under OS X.
I replaced the invisible indicator with an empty, static Graphics of the same dimension. The update can be downloaded and the current version is 127. This is a reasonable step on the side of Stack Exchange, but it does break the clean behaviour of the SE Uploader (i.e. 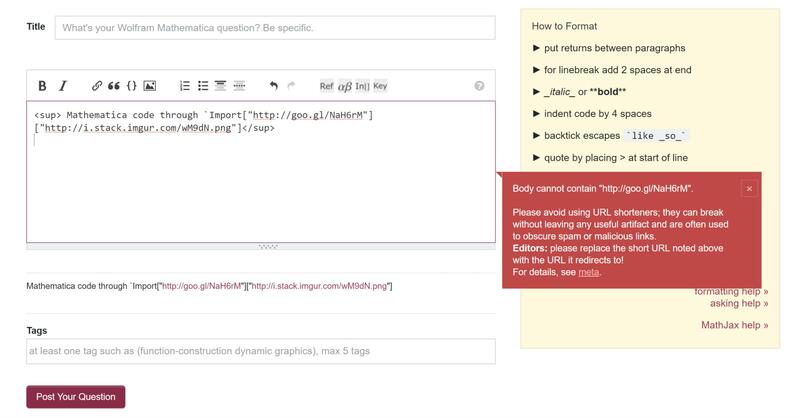 you click 'upload notebook for site', paste the resulting text onto your answer, and presto). Maybe the mods here can persuade Stack Exchange to whitelist this specific link? (unlikely to go through, as it leads to crufty code, perhaps?) Or maybe a more descriptive URL can be found for this file? This is a bug report about a plot that is not correctly uploaded. I just updated the uploader by executing the above Import command (that I cannot reproduce here because of the shortened URL). I am using MacOS 10.12.3 and Mathematica 11.0.1.0. 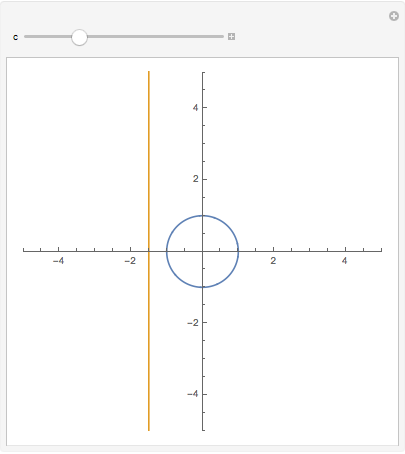 Does the code block on Mathematica.SE has a fixed width on all systems?